Although medicine has made advances in treating strokes, more than 795,000 Americans suffer them annually, they kill 140,000 of us each year, and they’re a leading cause of disability. But medical experts, revising their care guidelines, say that patients with the most common kind of stroke — a clot blocking blood flow to the brain — may be better treated in an expanded window of still urgent time. This higher but still guarded optimism does not apply to all stroke cases and not to all ischemic strokes (the kind that come from blood vessel blockages). Doctors have known for awhile now that it is vital to bust the damaging clot — and they had thought their time to do so with drugs like tPA and surgeries was constrained to six or so hours. This led specialists to their axiom, “Time is brain,” and to crash responses. But for many patients, the tight treatment time frame was unhelpful. They might not be discovered quickly after suffering a stroke and being incapacitated. They might have had their stroke while sleeping, and doctors had decided the timing of their care based on when they could last recall being well — often putting them outside the six-hour limit. Some patients also live far from hospitals that could provide clot-busting drugs, or, even more key, surgeries to implant stents or a thrombectomy, a procedure in which doctors use a small tool to grab the clot and remove it. In brief, they said that various treatments could be beneficial when launched fast but within 16 or even 24 hours — not just six hours — after a patient suffers an ischemic stroke. The doctors based this judgement on seeing more clearly strokes’ harms with new and better brain imaging technologies. They found that other blood vessels try to increase the flow to areas of the brain affected by a clot, meaning vital tissue does not die instantly nor as rapidly as they thought, giving doctors more time than they had believed they had to act. They should use the advanced brain imaging appropriately and to help them determine if they should perform thrombectomies to the benefit of their stroke patients, said the researchers, who ended their own study early because they found this approach was so helpful to their patient-subjects. They said their findings likely will lead the American Heart Association to revise its influential stroke care guidelines, especially regarding thrombectomies. 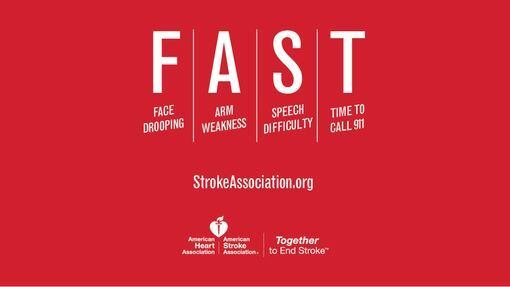 The American Heart Association encourages everyone to be on the lookout for three signs of stroke: face drooping (lopsided smile, droopiness, or numbness on one side), arm weakness (does one arm drift down when you try to lift it? ), or speech difficulty (slurring words or inability to speak). Any one of these should prompt an immediate call to 911. Experts emphasize that in cases of suspected stroke, you should never drive yourself or someone else to the hospital—EMTs will know the best hospital for a stroke patient, and people who arrive at the hospital by ambulance get seen, evaluated, and treated more quickly. 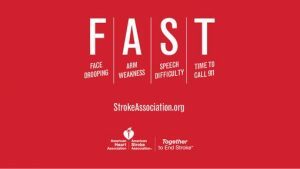 And even with the new guidelines, when it comes to stroke, those minutes count. That’s excellent advice. In my practice, I see the harms that patients suffer while seeking medical care and the significant damage that can be wreaked on them by injuries to the spine and brain, including to the latter by stroke. Americans also struggle mightily with the huge costs of medical services and their recovery, if possible, due to disability from stroke and other causes. We’ll keep our fingers crossed that medical scientists will keep pushing to advance and deepen knowledge about the best ways to treat strokes and to make those therapies accessible, appropriate, and affordable.. Here’s also a small skeptical hope that doctors and hospitals won’t take these latest findings and use them to subject patients to a rash of new and unnecessary tests, scans, and procedures.